These socks will help keep your little ones toes Toasty! Bibi & Mimi have some really cute socks for boys or girls. 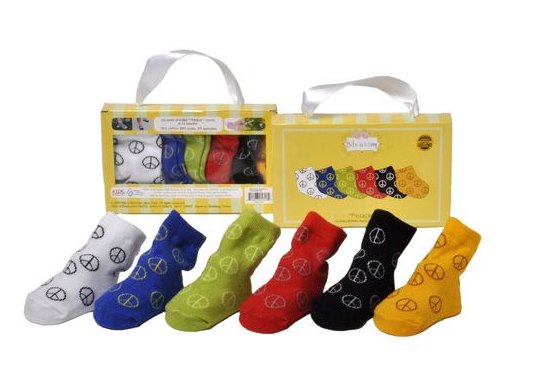 Peace Bright Socks for your little man come in an assortment of colors and they make a great gift. 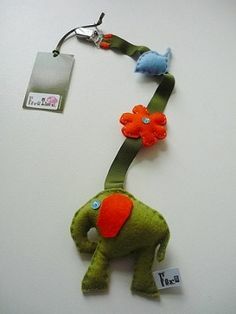 Visit Mimi & Bibi for even more cute products. This cream sage tunic with matching headband go perfect with the black paisley kashmir pants. 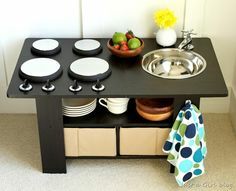 Mustard Pie has so many memorable designs. Headbands, Leggings, Lace dresses, and more in striking colors and patterns that are really unique and funky! Love this line! Visit One Good Thread for the Tunic Dress and the matching Paisley Pants. If there is a contest for the perfect shoe these Robeez would win hands down. Soft, comfortable, light weight, and non slip. Great for indoors or outdoors. 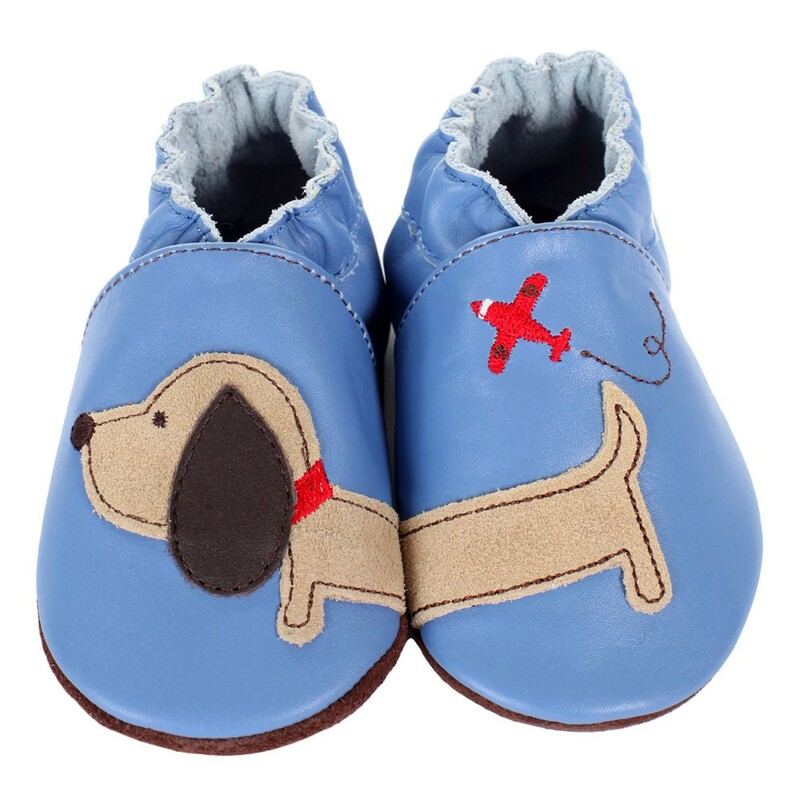 There are so many cute designs I bet you will buy more then one pair. Go ahead and check out those designs at Robeez. 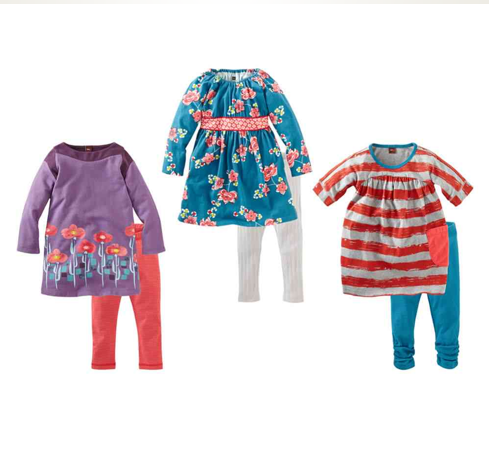 Adorable Smock Tunic with Leggings at Mamas and Papas Sizes 0-4 years old. This outfit is very fashionable and very comfortable. Marlin Top by Olive Juice. This long sleeve shirt is perfect for the cool Fall air. Solids or Stripes. 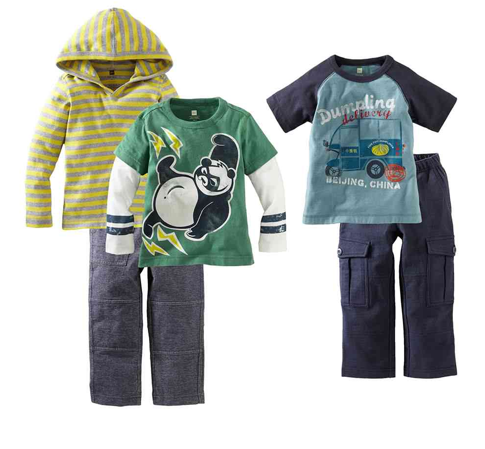 Olive Juice carries some really great designs for boys and girls. Styles that are truly classic and comfortable. 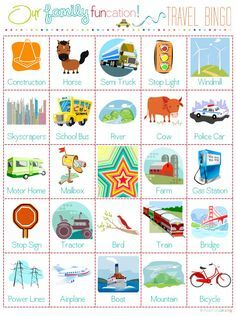 Read more at Olive Juice Kids. Just in time for apple picking season! 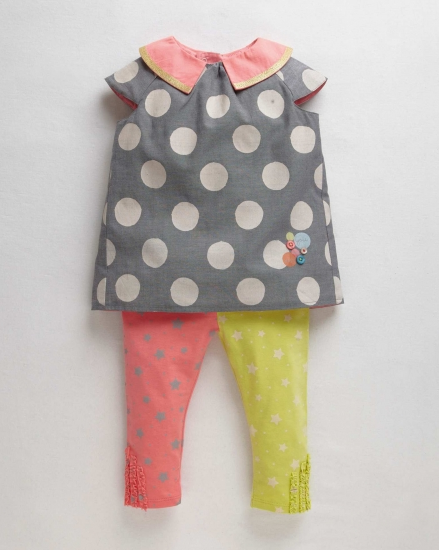 This outfit is just perfect for your little fashionista. This adorable outfit from Giggle Moon has beautiful Fall colors with a mix and match design that is comfortable, cute and perfect for your little one. 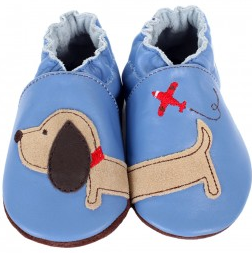 The set comes in sizes 12 months to 6X. 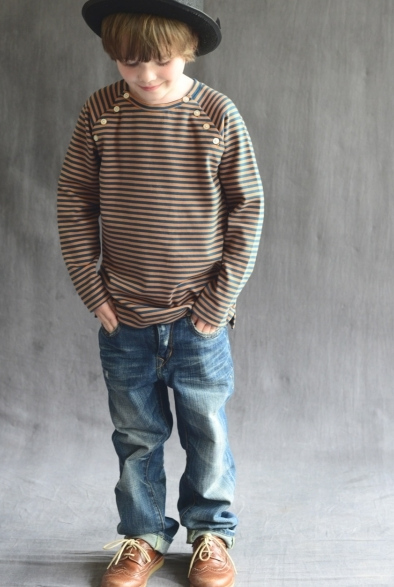 You can find this outfit and many more at Ginger Snaps Kids. One of my all time favorite brands is Tea Collection. Very smart colors, great fit and I love the quality! Mix and match ensembles that all go together. This really takes the guesswork out of what to wear. If the little one wants to pick out their outfit on their own, they will always match. Don’t you just love this time of the year? Not to cold, not to hot. Dresses with leggings, legwarmers or boots. 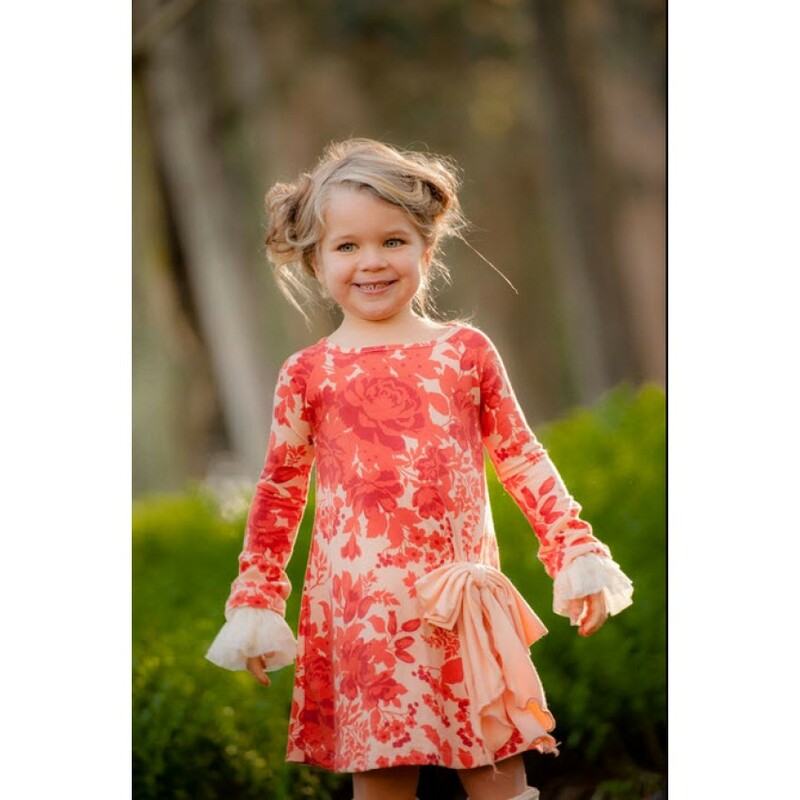 This dress is so adorable in a beautiful bright floral print, cream ruffled wrists and the buttoned striped legwarmers. From Persnickety’s Fall 2013 line, this cute ensemble can be found at the Little Posh Princess. Comfortable, Casual and COLOR! 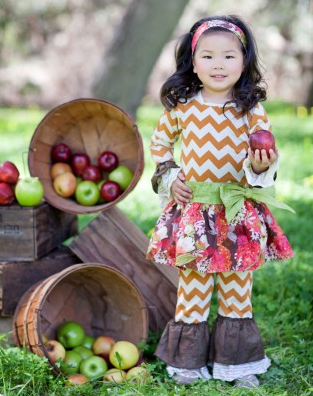 Great Fall color Sunset pants for play or dress. 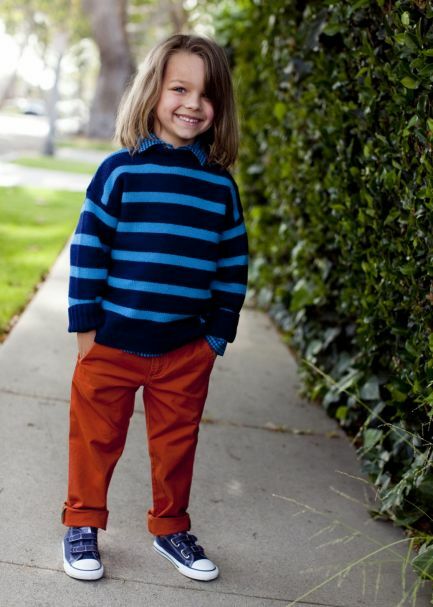 Add the Preppy Check Shirt with two shades of blue and you have a dapper young man. Outfit is by Joules and carried by Little Skye Children’s Boutique.